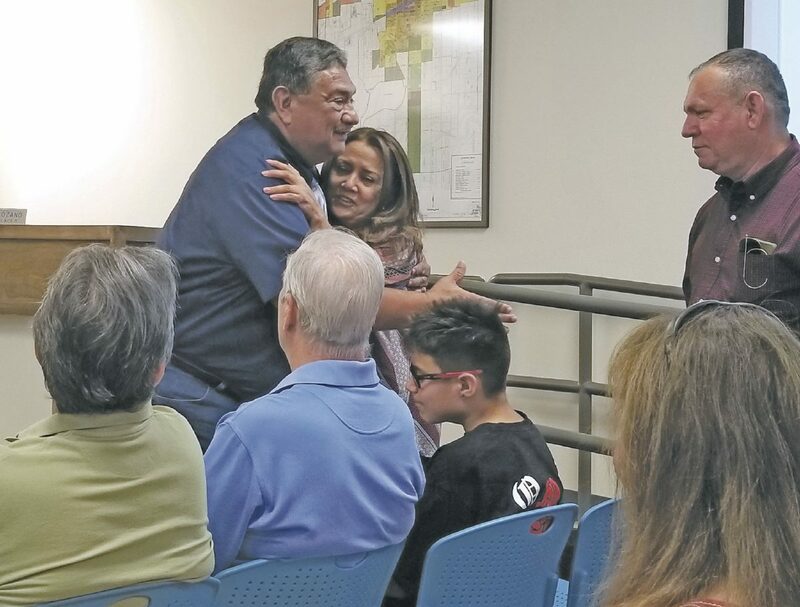 LA FERIA — City Hall erupted in applause after the commission made the unanimous decision to rename the street Javier Vega Jr. grew up on in his honor. 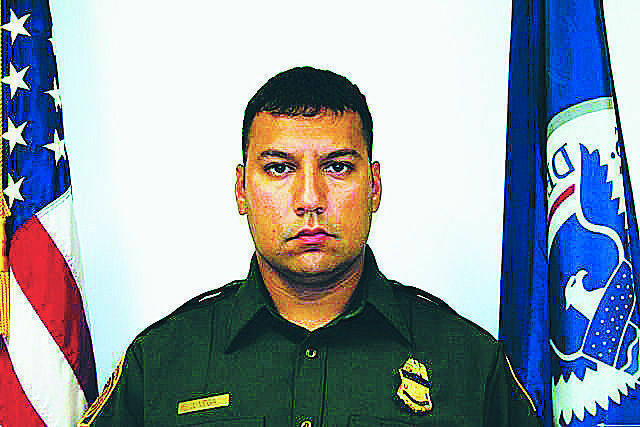 On Sunday, Aug. 3, 2014, Border Patrol Agent Javier Vega, Jr. was shot and killed near Santa Monica, as he attempted to take a law enforcement action to defend his family during a robbery. It all happened while he was fishing with his wife, children and parents. Commissioner Don Gracia, embracing Maria Vega, spearheaded the effort to rename 5th Street after Javier Vega Jr.
Investigators said two men approached them and attempted to rob them. Vega was shot in the chest when he attempted to draw his weapon. His father was also shot and wounded. And now the city will honor him by renaming 5th Street after him. “Javier Vega Jr. grew up in La Feria, went to school in La Feria and had a dream of joining the United States Border Patrol,” said Beto Garcia, a La Feria commissioner. Vega, who was 36 years old, entered duty with the U.S. Border Patrol on Feb. 11, 2008, as a member of Academy Class 745. Vega’s mother, Maria, recalled her son while growing up was always playing with the neighborhood kids. And like Vega’s mother recalled, her son always having friends at his side growing up on 5th Street — his fellow Border Patrol agents were also present at the city meeting to witness the honor of their fellow serviceman. Reyes recalled that Vega was a good man and a good agent. The two worked patrolling the border as K-9 handlers. Vega was a U.S. Marine Corps veteran and had served with the United States Border Patrol for six years. He is survived by his wife, three children, parents and brother. Commissioner Julian Guevara said at the meeting the Vega family has been well known in the city and said he was proud to bestow the honor on behalf of the city. “I’m in full favor of it,” said Eric Hoff, La Feria mayor pro-tem, about the street name change.